Photograph depicts two unidentified men and an unidentified woman. 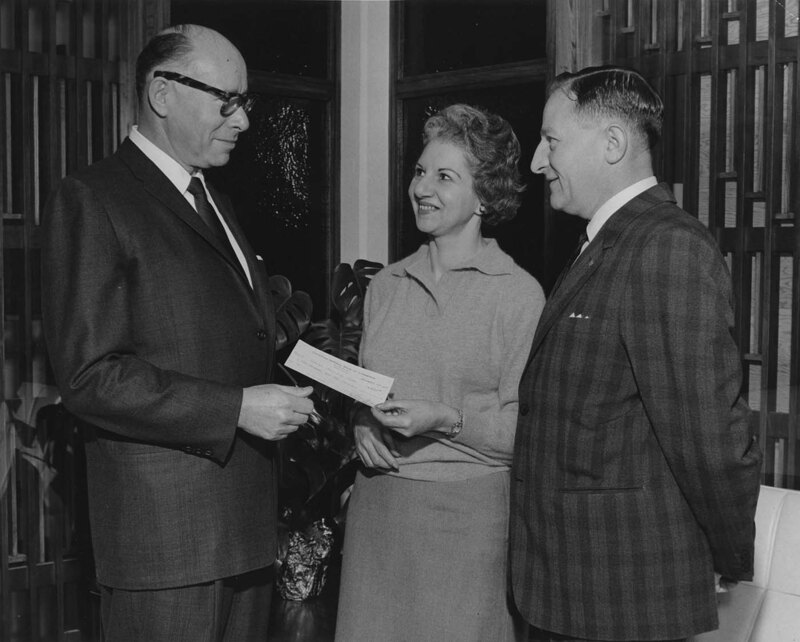 The woman appears to be handing a cheque to the man on the left. Written on the verso: "B.B. Centre Pledge. Dec. 6/63. P. 7. 2 cols."